Description Azithromycin tablets belong to a class of medications called macrolide antibiotics. It is used to treat a wide range of infections caused by bacteria, including streptococcal infections of the ear, lungs, skin, and sinuses, and gonococcal and chlamydial infections. It works by stopping bacterial growth. 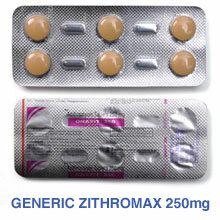 Zithromax for diarrhea treatment You can buy azithromycin for treatment of diarrhea. Campylobacter is a group of bacteria that causes disease in humans and animals. It is one of the most common bacterial causes of diarrhea illness in the United States, and is very common throughout the world. People diagnosed with campylobacter are often given prescriptions for the antibiotic ciprofloxacin, but the bacteria has become resistant to it in some areas. According to Canadian Family Physician, Zithromax tablets are effective in treatment of ciprofloxacin-resistant Campylobacter. 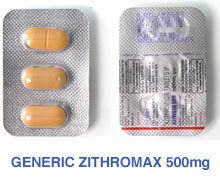 Clinics of Infectious Diseases reported on a study from the Walter Reed Army Institute of Research, Washington, DC, that evaluated Zithromax or Cipro daily for three days for the treatment of acute diarrhea among U.S. military personnel in Thailand, where ciprofloxacin resistance is prevalent. Researchers found that azithromycin was superior to ciprofloxacin in decreasing the excretion of Campylobacter and as effective as cipro in shortening the duration of illness.